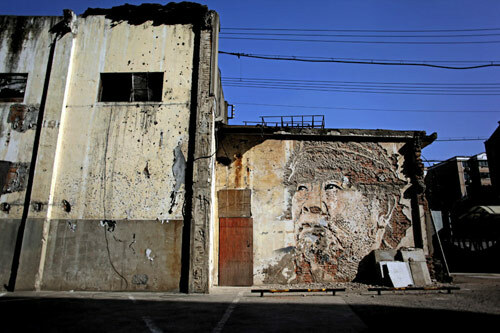 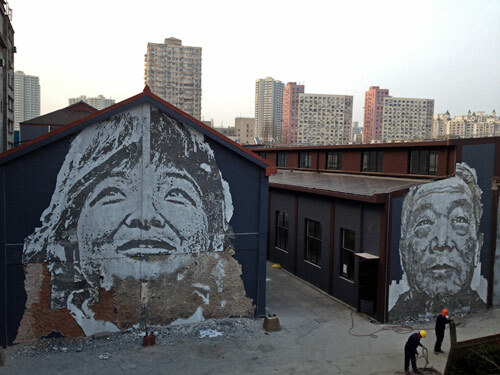 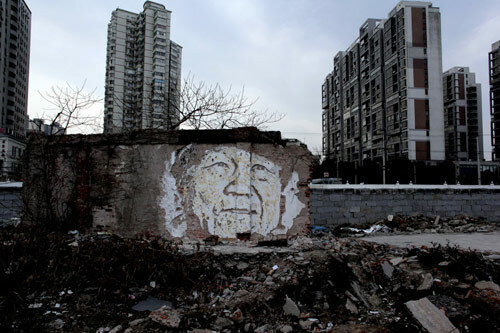 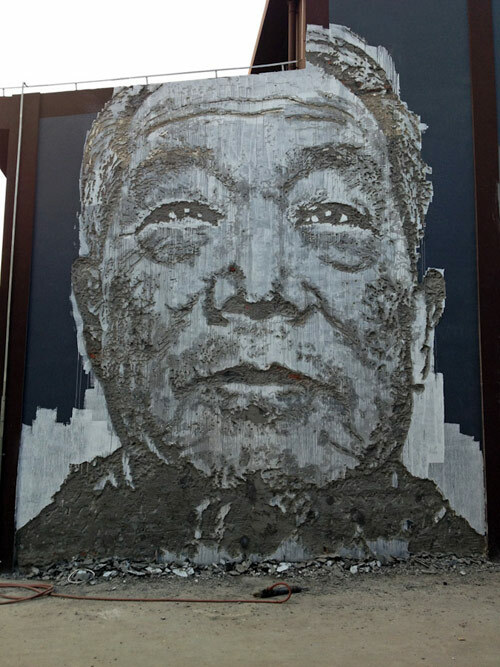 Faces painstakingly scratched into the surfaces of walls in Shanghai, by Vhils (Alexandre Farto). 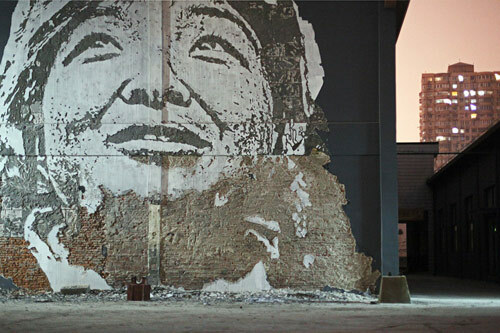 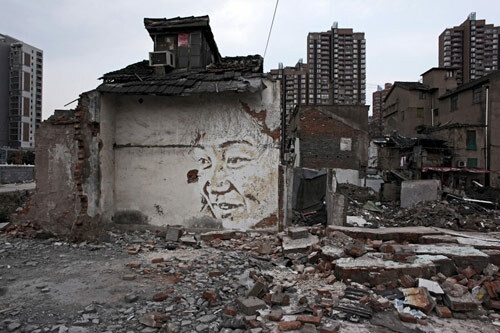 Watch the trailer for the film about Vhils’ time in China below! 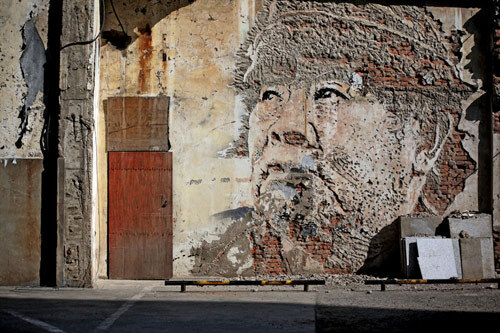 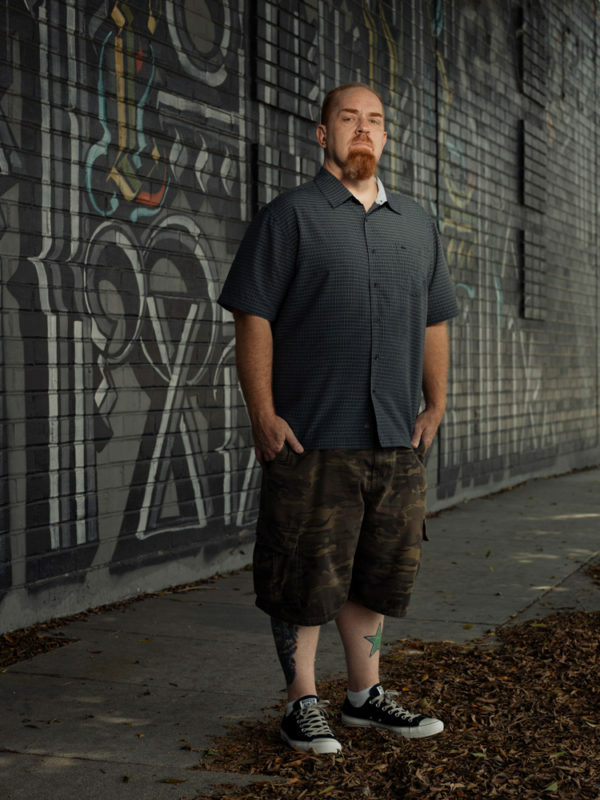 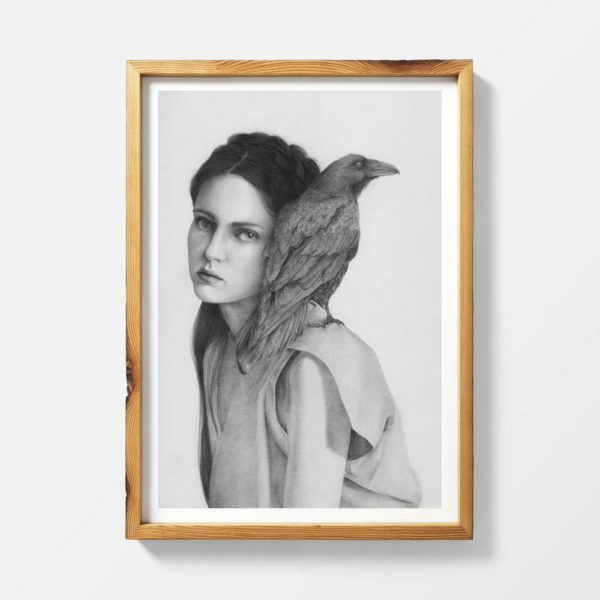 Love the editing.